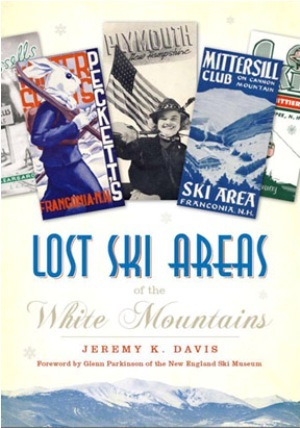 Lost Ski Areas of the White Mountains, by Jeremy K. Davis, 2008. Fascinating collection of rare photos, maps and personal memories of some 60 ski areas, most of them small, that once operated across the mountains but are now in various stages of abandonment. An offshoot of the popular "Lost Ski Areas" website. 128 pp., 7" x 10".